At Xtra-vision.ie, you can shop for a wide variety of electronics and entertainment products. You can use this website to find video game releases from all the current major systems, including the Xbox One, the Xbox 360, the PlayStation 3, the PlayStation 4, and more. You can also shop for a large range of DVDs and Blu-Ray movies and TV shows, including new releases and classics. CDs, vinyl music releases, and music sheets are also available for purchase in the music section of Xtra-vision.ie. Headphones, earphones, tablets, speakers, and phones are all available for purchase in the electronic section of the site. You can also check out the marketplace and magazine sections. 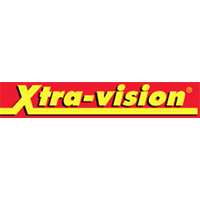 For most up to date offers check out Xtra-vision on Facebook and Twitter or contact Xtra-vision Support for any questions.